1. Злокачественные заболевания в России в 2010 году (заболеваемость и смертность). Под. ред. В.И. Чиссова, В.В. Старинского, Г.В. Петровой. М.: ФГБУ МНИОИ им. П.А. Герцена Минздравсоцразвития России, 2013. 289 с. 2. Tavassoli F.A., Devilee P. (eds.) World Health Organization Classification of Tumours. Pathology and Genetics of Tumours of the Breast and Female Genital Organs. Lyon: IARC Press, 2003. Pp. 30–32. 3. Высоцкая И.В., Ермилова В.Д., Летягин В.П. и др. Клинические и морфо- прогностические особенности редких гистологических типов рака молочной железы. М.: АБВ-пресс, 2011. 142 с. 4. Нейштадт Э.Л., Воробьева О.А. Патоло- гия молочной железы. СПб. : ООО «Изда- тельство Фолиант», 2003. С. 69–71. 5. Высоцкая И.В., Мартынова Г.В., Летягин В.П. и др. Клинико-морфологические особенности и прогноз при редких формах рака молочной железы. Опухоли женской репродуктивной системы 2010;(1):29–36. 6. Григорук О.Г., Михеева Н.А., Лазарев А.Ф. Слизистый рак молочной железы: клинические и цитологические особенности, результаты лечения, анализ выживаемости. Опухоли женской репродуктивной системы 2011;(4):32–6. 7. Louwman M.W., Vriezen M., van Beek M.W. et al. Uncommon breast tumor in perspective: incidence, treatment and survival in the Netherlands. Int J Cancer 2007;121(1):127– 35. 8. Lacroix-Triki M., Suarez P.H., MacKay A. et al. Mucinous carcinoma of the breast is genomically distinct from invasive ductal carcinomas of no special type. J Pathol 2010;222(3):282–9. 9. Bae S.Y., Choi M.-Y., Cho D.H. Mucinous carcinoma of the breast in comparison with invasive ductal carcinoma: clinicopathologic characteristics and prognosis. J Breast Cancer 2011;14(4):308–13. 10. Li C.I., Uribe D.J., Daling J.R. Clinical characteristics of different histologic types of breast cancer. Br J Cancer 2005;93(9):1046–52. 11. Anderson W.F., Chu K.C., Chang S., Sherman M.E. Comparison of age-specific incidence rate patterns for different histopathologic types of breast carcinoma. Cancer Epidemiol Biomarkers Prev 2004;13(7):1128–35. 12. Reimer T. Management of rare histological types of breast tumours. Breast Care (Basel) 2008;3(3):190–6. 13. Dhillon R., Depree P., Metcalf C., Wylie E. Screen-detected mucinous breast carcinoma: potential for delayed diagnosis. Clin Radiol 2006;61(5):423–30. 14. Park S., Koo S., Kim J.H. et al. Clinicopathological characteristics of mucinous carcinoma of the breast in Korea: comparison with invasive ductal carcinoma-not otherwise specified. J Korean Med Sci 2010;25(3):361–8. 15. Son B.H., Kwak B.S., Kim J.K. et al. Changing patterns in the clinical characteristics of Korean patients with breast cancer during the last 15 years. Arch Surg 2006;141(2):155–60. 16. Di Saverio S., Gutierrez J., Avisar E. A retrospective review with long term follow up of 11,400 cases of pure mucinous breast carcinoma. Breast Cancer Res Treat 2008;111(3):541–7. 17. Ingle A.P., Kulkarni A.S., Patil S.P. et al. Mucinous carcinoma of the male breast with axillary lymph node metastasis: Report of a case based on fine needle aspiration cytology. J Cytol 2012;29(1):72–4. 18. Aggarwal R., Rajni, Khanna G., Beg S. Mucinous carcinoma in a male breast. J Cytol 2011;28(2):84–6. 19. Mizuta Y., Mizuta N., Sakaguchi K. et al. A case of non-metastatic mucinous carcinoma of the breast. Breast cancer 2005;12(4):337–40. 20. Paramo J.C., Wilson C., Velarde D. et al. Pure mucinous carcinoma of the breast: is axillary staging necessary? Ann Surg Oncol 2002;9(2):161–4. 21. Komenaka I.K., El-Tamer M.B., Troxel A. et al. Pure mucinous carcinoma of the breast. Am J Surg 2004;187(4):528–32. 22. Рак молочной железы. Под ред. У.И. Чен, Э. Уордли; ред. серии А.Т. Скарин; пер. с англ. М.: ООО «Рид Элсивер», 2009. С. 66–71. 23. Pina Insausti L.J., Soga Garcia E. Mucinous breast carcinoma showing as a cluster of suspicious microcalcifications on mammography. Eur Radiol 1998;8(9):1666–8. 24. Tan P.H., Tse G.M., Bay B.H. Mucinous breast lesions: diagnostic challenges. J Clin Pathol 2008;61(1):11–9. 25. Lam W.W., Chu W.C., Tse G.M., Ma T.K. Sonographic appearance of mucinous carcinoma of the breast. Am J Roentgenol 2004;182(4):1069–74. 26. Wong S.L., Chao C., Edwards M.J. et al. Frequency of sentinel lymph node metastases in patients with favorable breast cancer histologic subtypes. Am J Surg 2002;184(6):492–8. 27. Sentani K., Tashiro T., Uraoka N. et al. Primary mammary mucinous cystadenocarcinoma: cytological and histological findings. Diagn Cytopathol 2012;40(7):624–8. 28. Deng Y., Xue D., Wang X. Mucinous cystadenocarcinoma of the breast with a basal- like immunophenotype. Pathol Int 2012;62(6):429–32. 29. Karabagli P., Kilic H. Primary pure signet cell carcinoma of the breast: a case report and review of the literature. http://www.ncbi.nlm. 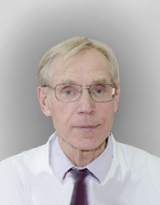 nih.gov/pubmed/20556557 (дата обращения 07.01.2013). 30. Orvieto E., Maiorano E., Bottiglieri L. et al. Clinicopathologic characteristics of invasive lobular carcinoma of the breast: results of an analysis of 530 cases from a single institution. Cancer 2008;113(7): 1511–20. 31. Tsui K., Goto M., Yuen S, Nishimura T. Post-traumatic rapidly enlarging mucinous carcinoma of the breast with intratumoural haemorrhage: MRI appearances with pathological correlation. Br J Radiol 2011;84(1002):e118–20. 32. Diab S.G., Clark G.M., Osborne C.K. et al. Tumor characteristics and clinical outcome of tubular and mucinous breast carcinomas. J Clin Oncol 1999;17(5):1442–8. 33. Фишер У., Фридеман Б., Люфтнер- Нагель С. Заболевания молочных желез. Пер. с англ. под общ. ред. чл.-корр. РАМН проф. Б.И. Долгушина. М.: МЕДпресс-ин- форм, 2009. С. 12–13, 56. 34. Kopans D.B. Breast Imaging. Lippincott Williams & Wilkins, 2007. P. 862. 35. Заболоцкая Н.В., Заболоцкий В.С. Но- вые технологии в ультразвуковой маммо- графии. М.: ООО «Фирма СТРОМ», 2010. С. 216–8. 36. Mori M., Tsunoda H., Kawauchi N. et al. Elastographic evaluation of mucinous carcinoma of the breast. Breast Cancer 2012;19(1):60–3.